WARNING: This is a preview of PopCats Fighter. All components and rules are prototype and subject to change. 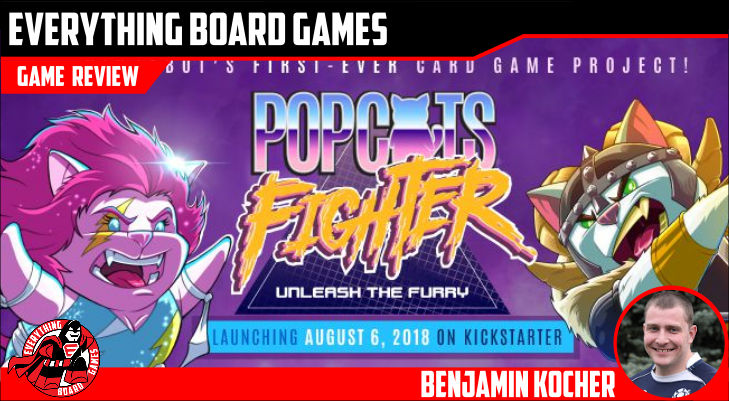 PopCats Fighter hits Kickstarter on August 6, 2018. First impressions count—don’t let anyone tell you otherwise. When I received the prototype box (italics added for emphasis), I thought it looked pretty good. What I beheld made me grin. Lifting the flap (held shut through savvy use of magnets), the box transformed into a retro arcade console. Check it out. Alright, enough about the cool box. Let’s get down to brass tacks. 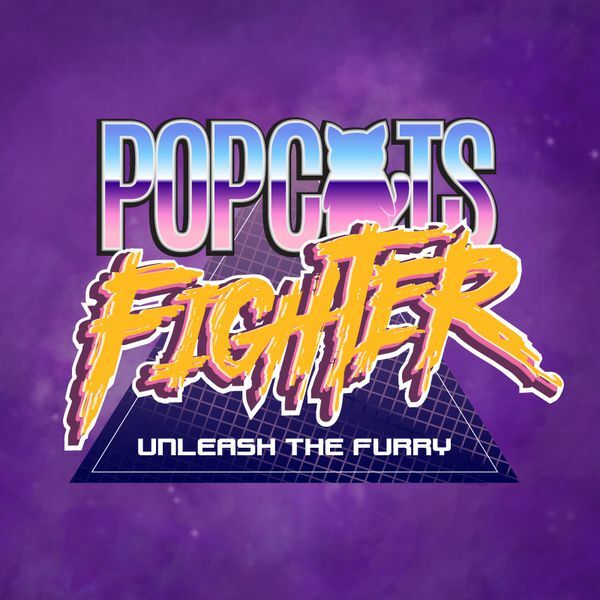 What is PopCats Fighter like? Well, it’s like one of those archaic fighting games you’d find at the arcade. Or even the new Dragon Ball Z fighting games where combos erupt all over the place and I’m over here button mashing because I have no idea what else to do and finally I manage to pull off a Kamehameha but it’s countered with like a Spirit Bomb or something and I end up losing to a Super Duper Saiyan Gohan. PopCats Fighter is a strategic card game at its heart, and uses actions and card abilities to mirror a fighting game rather well. While playing PopCats Fighter, I found myself constantly trying to out-think my opponent(s). I didn’t want to use special attacks just to have them countered (see my Kamehameha example above). At the same time, I didn’t want to not use them, otherwise I might miss a crucial hit that could win me the game. Once we got the hang of the rules and the card text, turns didn’t take very long and there was a lot of good back-and-forth action that, when played quickly like this, really helped the theme to shine. And for those that know me and my game preferences, I love a good theme. Honestly though, I’ve never been big into fighting video games (even though I bought Dragon Ball Z for the GameCube eons ago, and Super Smash Bros. is a special, wonderful case in and of itself), but when a tabletop game gets it right, that’s where magic happens. Getting started the first time was a bit slower than I had hoped, but that was due in part to learning the rules and understanding the abilities of various cards. The rulebook is still in its beta stage, so some of my confusions will inevitably be cleared up by the Kickstarter. Most of the cards are simple enough to glance at and know how they work; however there are a fair amount that take some reading and pondering to understand. Likewise, all the attack cards have a different icon depending on the attack. I—and those I played with—found it to be confusing, as that same image is quite prominent on the middle of the card, making the icon redundant. That, and the smaller icon indicating the attack isn’t used in the game. When I asked the designer about this, I was told that these icons would come in handy for veteran players who were familiar with the icons so they would know what cards they have in their hand without having to keep fanning it open. 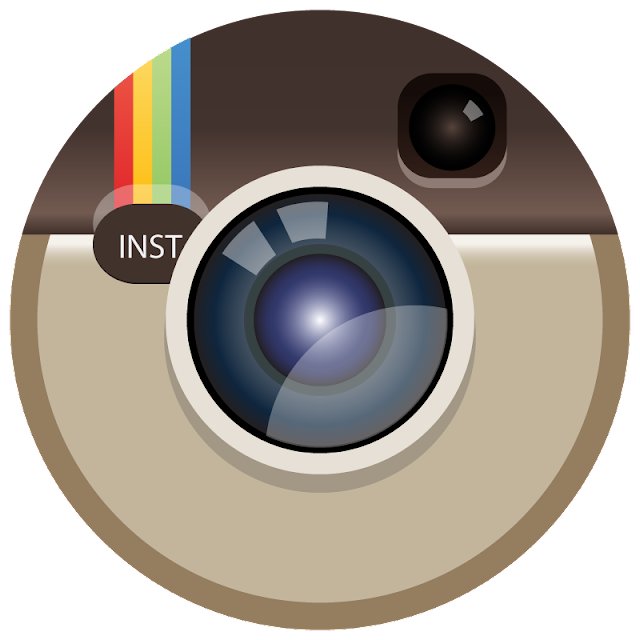 Likewise, they plan on having tournaments (where time matters), so those icons would certainly be good for that. Personally, I feel like removing that particular icon would help clear up some early questions when people are learning to play. That said, the reasoning behind it makes sense, and it is a relatively small issue for players to overcome. On the four attack cards and two defense cards shown, each has a different icon specific to its card. While I don't necessarily think it necessary, the reasoning behind it seems solid enough. Once we got playing, it didn’t take long to get a good grasp on the mechanics of the game, which helped immensely. And I was surprised early on by the gameplay’s balance. During my very first attack, I laid out cards to deal 17 damage to my opponent. I thought, Welp, this game will be over very quickly. My opponent blocked most of the damage and only took three hits. From there, the combos were free flowing, the counter attacks were masterfully executed, and the fight actually felt like a fight, complete with reactions and responses to whatever else was played. 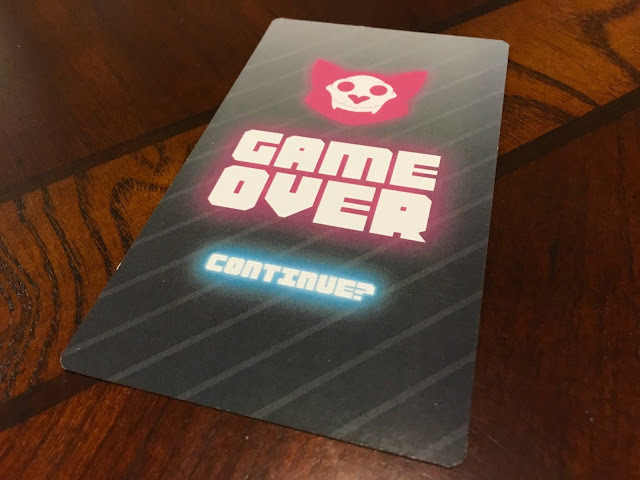 Because PopCats Fighter crowns a champion after a best-of-three-style tournament, losing one bout is disappointing, but not the end of the world. The inclusion of 2v2 team battles is also quite interesting, and the way it is set up makes it difficult to gang up on one player (until that player is knocked out) before focusing on the other. The balance feels good, and the two-player strategies add more spice to the game. Throughout our plays, I noticed my opponents making comments such as, “Hm, interesting” (which always terrified me) as mechanics clicked and strategies were discovered. I saw some well-played combos which always seemed to bring satisfaction to my opponents (and a bruised ego to me). PopCats Fighter feels rewarding after pulling off a good string of attacks. And the fact that any successful or partially successful cards (e.g. any card that fulfilled its purpose in at least some small way) help grant you special attacks, making things work is doubly critical. For me, a huge part of gaming is the experience. Was it good or bad? If it was good, what made it good? 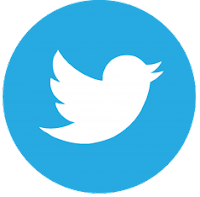 What emotions did it tug at, and how was I personally involved in the in-game experience? With PopCats Fighter, I can honestly say I enjoyed it. Was I completely hooked by the end of my first or second game? No. But that’s not to say I wouldn’t enjoy playing it again (and again). The strategy can be either relatively deep or too shallow for wading—it all depends on what cards you draw…and when. However, there is plenty of variety in the deck, so odds are you won’t be without a super-useful card for long. I’m also not a huge cat person. I mean, I’m allergic to them, and their hair gravitates to my clothing and clings on with all the power of a super massive black hole. 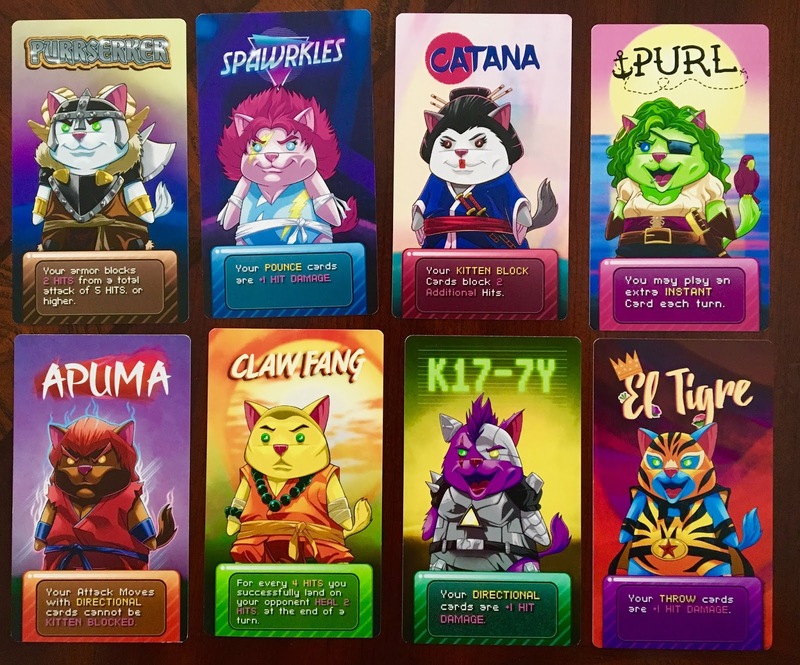 Despite my obvious bias, I found the cats, cards, and overall theme of PopCats Fighter to be delightful. 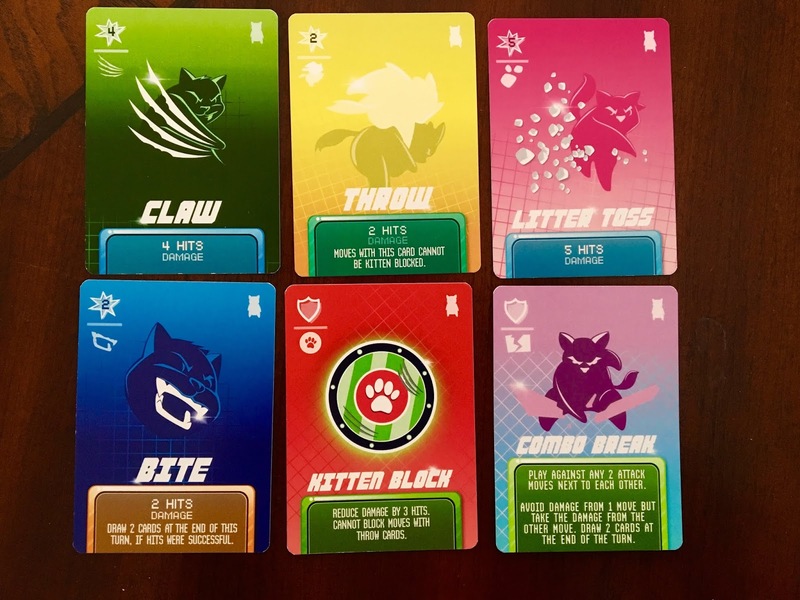 The various cards incorporated kitty traits into the fighting world quite well. The cards and abilities fit the theme, and to me, that’s important. 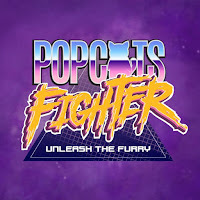 From the unique box to the gameplay itself, PopCats Fighter is without a doubt an appealing game. I mean, did you notice all those vibrant colors? It's like I'm back in the '90s! Which is obviously a good thing, by the way (the '90s was, like, totally tubular). 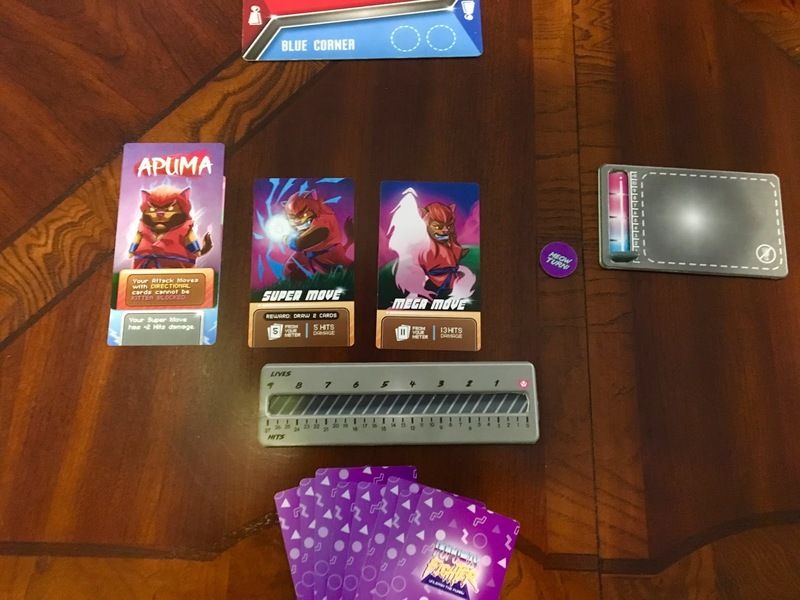 While it may take a game or two to get comfortable with the cards (and the associated text), PopCats Fighter is a fine specimen of a fighting game. And if you’re into cats, that’s the cherry on top. Setup for one player. All other players are set up in similar fashion. Setup is easy. Each player chooses a character (or is randomly assigned) along with that character’s two special attacks. Select a Power-Up card, place your health bar and meter storage tile nearby, and put your health to full strength (27). Shuffle the cards associated with the number of players, deal eight to each player, and let the games begin! 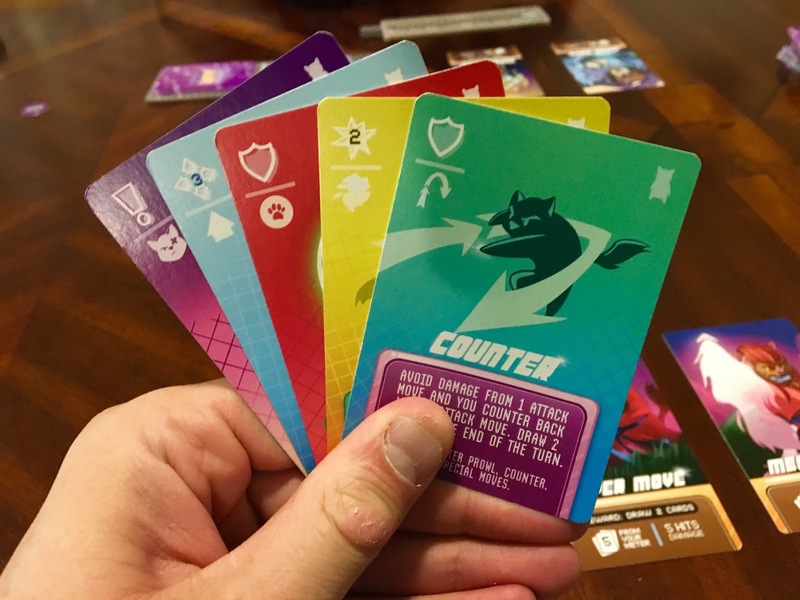 Gameplay can be swift and smooth…once all players involved get the hang of the phases and have a good understanding of what the cards do without having to read them over and over again. That said, it took me two games to feel more than comfortable with it, which allowed my turns to be swift as a coursing river. Each turn is broken down into three phases: Attack, Defense, and Response. 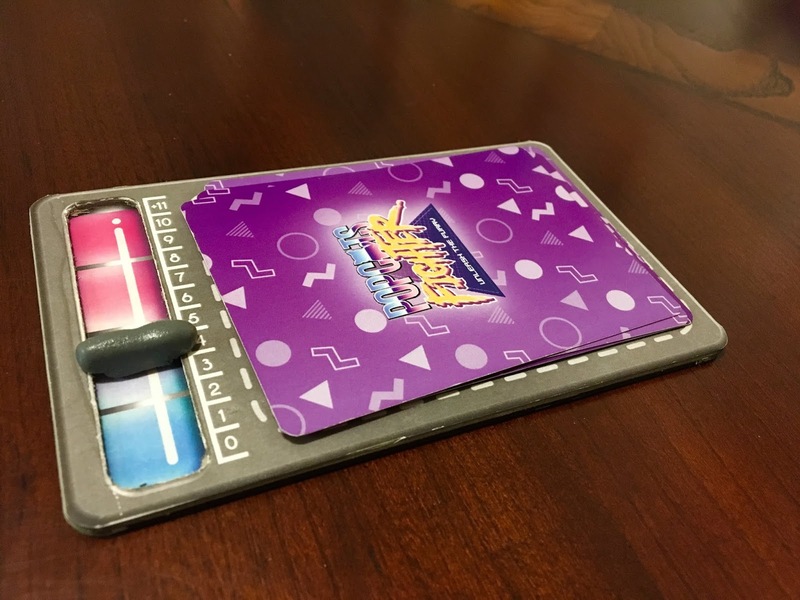 The attacking player starts and takes four actions, which include playing cards, drawing cards, and adding to your power meter. Once the attacking player is finished, the defending player has a go at it by taking the same actions, only instead of playing attack cards they play defense cards. If the defender happened to play any amount of counter cards, then the attacker gets one more action for each counter played (if no counter card is played, then this next phase is skipped). This is the Response phase. Once this phase is complete, players tally the damage their character took and move their health bars accordingly. And that’s pretty much it! Quite simple, really. Gameplay tends to slow down when new players need to read—and comprehend—their cards, but as mentioned above, a game or two should nip that problem in the bud. Son Goku-cat ready to bust a move! PopCats Fighter pulls off the fighting theme well. Not only are the cats dressed the part, but the mechanics help solidify the well-known feel of fighting games. With the attacker making the first move, followed by strategic defense, which in turn is followed by yet another response (if a counter is used), the back-and-forth element of the game mirrors its video game counterparts rather well. Of course, having to draw cards to make an attack (or defense) can leave your nine lives to fate rather than skill. That said, the amount of possible actions, coupled with the variety of cards, helps balance things out. The art is straight-up fun. Each character looks and feels unique and is dressed to kill. I also really like the attack cards, which don’t feature highly detailed art, but rather a simple image of the action against a grid background. To me, that was a good artistic choice. It helps the moves feel more technical and calculated. As this is a pre-Kickstarter prototype of the game, I can’t comment too much on the components. That said, I will mention some of the more unique ways the components are used. I like the look of the power meter (the tile where you put your cards to "power up" and use special attacks). The slider to keep track of how many cards a player has on the power meter is brilliant. I was quite pleased that I wouldn't have to be constantly counting in order to remember how close I was to my special moves. 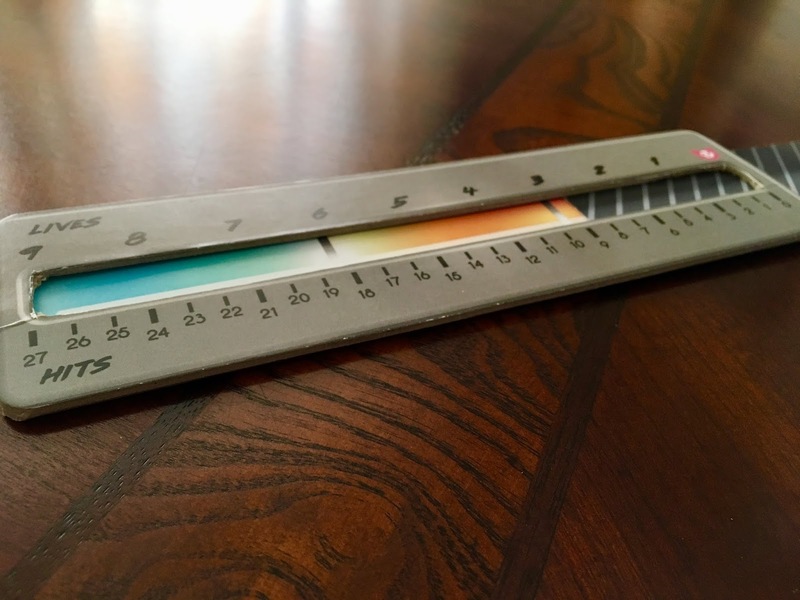 There are plans to improve the slider for the Kickstarter, which will make it even better (you lucky backers, you). Either way, I'd much rather have the slider as-is than without; it's a good way to keep track of the cards on the power meter. The Power Meter in all its glory. 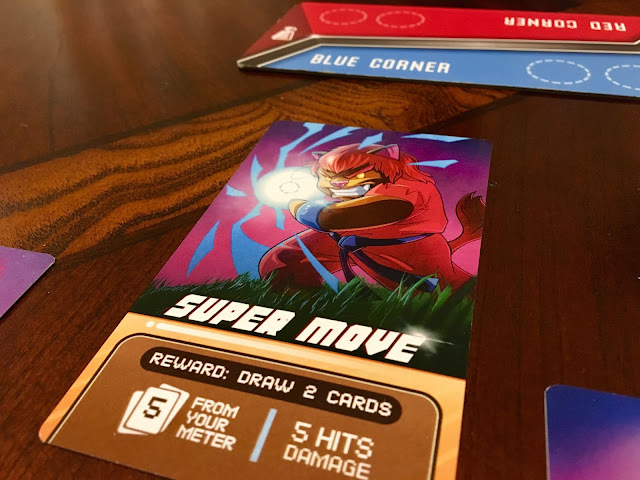 Instead of a dial (as in BattleCON) or dice to track health, PopCats Fighter uses a familiar health bar not unlike one you would see in a fighting game on your favorite video game system. As your character takes damage, the health bar slides down, revealing bright colors which signify damage has been done. The more red the damage meter, the closer that character is to being defeated. It’s a fun and effective way to track damage. Each player has nine lives, and each life has three hits. I saw this side of the character card more often that I'd care to admit. PopCats Fighter is a solid fighting game that’s not too heavy for newer players, but still deep enough to satisfy more intense gamers. I thought the use of box and components was neat, and the theme was well-incorporated into the mechanics. The 2v2 variant adds new twists and strategy that helps bring more variety to the game. When it comes down to it, the only part that I didn’t particularly care for was the iconography on the cards and having to read a bunch of text before I could figure out what a particular card could do. Despite those (inconsequential) weaknesses (which may change before/during/after the Kickstarter), I really enjoyed this game, and I think your preference of game type will determine whether you enjoy this game or not. 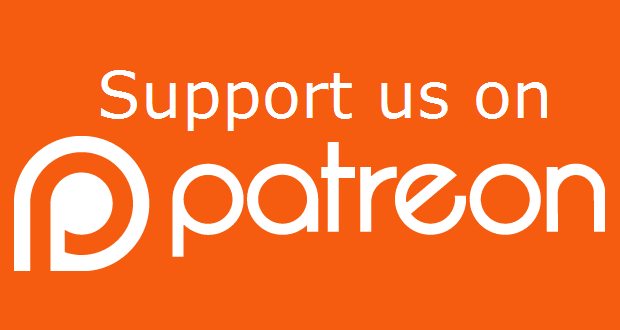 There aren't a lot of negatives here, and those that did come up may very well be fixed post-Kickstarter. Indeed, PopCats Fighter is fast-paced, feline fun. 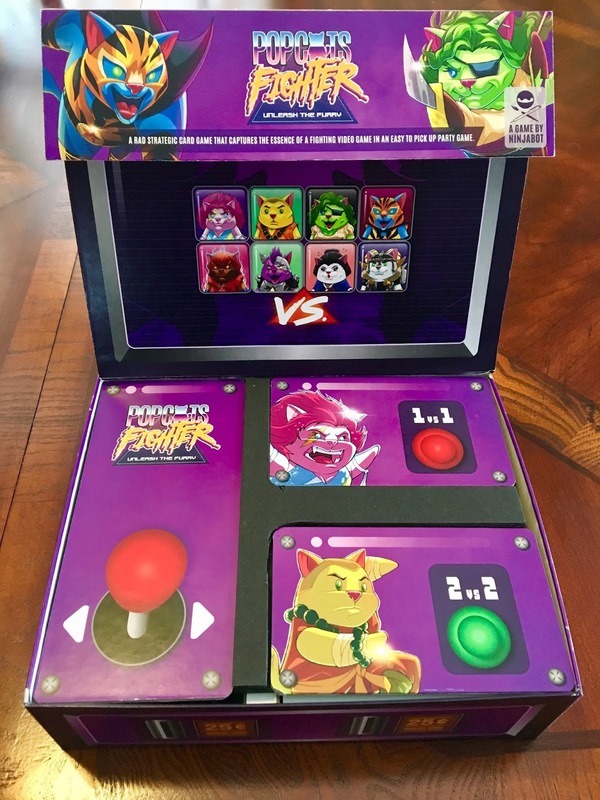 Fans of fighting games like BattleCON and strategic card games would most likely enjoy PopCats Fighter. Also cats. If you like cats, this game was practically made for you. Coming to KICKSTARTER August 6, 2018. Excellent review! Thanks. I'll definitely keep an eye on this Kickstarter.